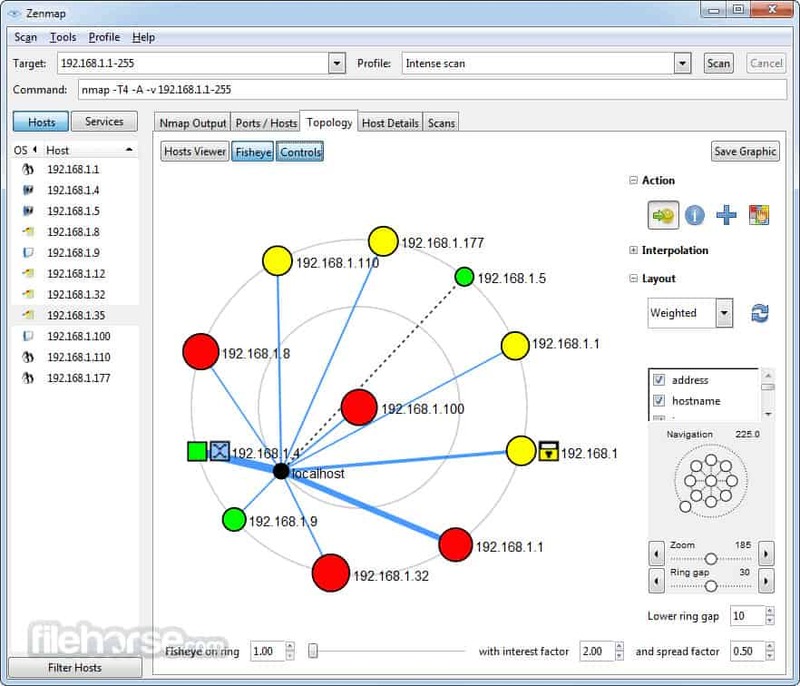 Nmap (or “network mapper”) is one of the most popular free network discovery tools on the market. Over the past decade or so the program has emerged as a core program for network administrators looking to map out their networks and conduct extensive network inventories. It allows the user to find live hosts on their network as well as scanning for open ports and operating systems. In this guide, you will learn how to install and use Nmap. Nmap runs centered around a command line similar to Windows Command Prompt, but a GUI interface is available for more experienced users. When using Nmap, the user simply enters commands and runs scripts via the text-driven interface. They can navigate through firewalls, routers, IP filters, and other systems. At its core, Nmap was designed for enterprise-scale networks and can scan through thousands of connected devices. Some of Nmap’s main uses include port scanning, ping sweeps, OS detection, and version detection. The program works by using IP packets to identify available hosts on a network as well as what services and operating systems they run. Nmap is available on many different operating systems from Linux to Free BSD and Gentoo. Nmap also has an extremely active and vibrant user support community. 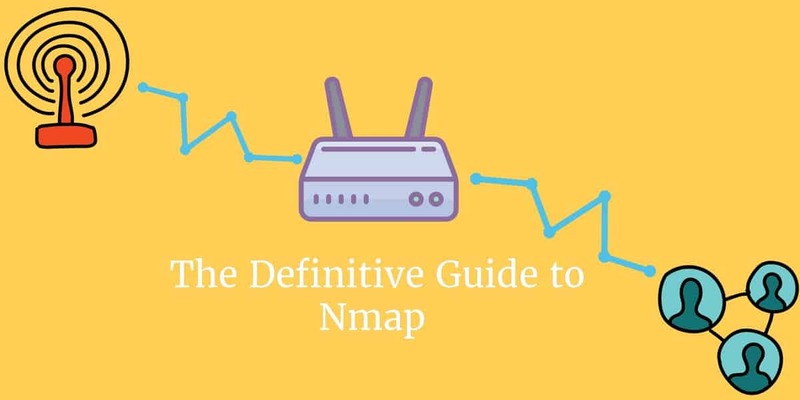 In this article, we break down the fundamentals of Nmap to help you hit the ground running. Network analyzers like Nmap are essential to network security for a number of reasons. They can identify attackers and test for vulnerabilities within a network. When it comes to cybersecurity, the more you know about your packet traffic, the better prepared you are for an attack. Actively scanning your network is the only way to ensure that you stay prepared for potential attacks. 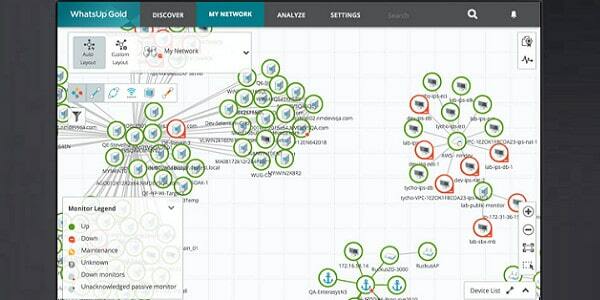 As a network analyzer or packet sniffer, Nmap is extremely versatile. For example, it allows the user to scan any IP active on their network. If you spot an IP you haven’t seen before, you can run an IP scan to identify whether it is a legitimate service or an outside attack. Nmap is the go-to network analyzer for many administrators because it offers a wide range of functions for free. Before we get to how to use NMap, we’re going to look at how to install it. Windows, Linux and MacOS users can download Nmap here. Use the Windows self-installer (referred to as nmap-<version>setup.exe) and then follow the onscreen instructions. On Linux, things are a little trickier as you can choose between a source code install or a number of binary packages. Installing Nmap on Linux allows you to create your own commands and run custom scripts. To test whether you have nmap installed for Ubuntu, run the nmap --version command. If you receive a message stating that nmap isn’t currently installed, type sudo apt-get install nmap into the command prompt and click enter. On Mac, nmap offers a dedicated installer. To install on Mac, double-click the nmap-<version>.dmg file and open a file called nmap-<version>mpkg. Opening this will start the installation process. If you’re using OS X 10.8 or later, you might be blocked by your security preferences because nmap is considered an ‘unidentified developer’. To get around this, simply right-click on the .mpkg file and select Open. One of the basics of network administration is taking the time to identify active hosts on your network. On Nmap, this is achieved through the use of a ping scan. A ping scan (also referred to as a discover IP’s in a subnet command) allows the user to identify whether IP addresses are online. It can also be used as a method of host discovery. ARP ping scans are one of the best ways to detect hosts within LAN networks. It is important to note that this search doesn’t send any packets to the listed hosts. 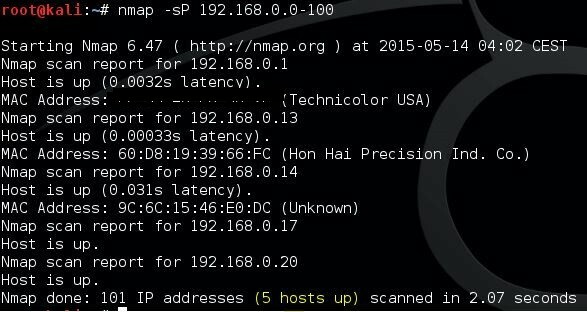 However, Nmap does run a reverse-DNS resolution on the listed hosts to identify their names. Newer users will attempt to solve most problems with SYN scans, but as your knowledge develops you’ll be able to incorporate some of these other techniques as well. It is important to note that you can only use one method of port scanning at a time (although you can combine an SCTP and TCP scan together). The TCP SYN Scan is one of the quickest port scanning techniques at your disposal on Nmap. You can scan thousands of ports per second on any network that isn’t protected by a firewall. It is also a good scanning technique in terms of privacy because it doesn’t complete TCP connections that draw attention to your activity. It works by sending a SYN packet and then waiting for a response. An acknowledgment indicates an open port whereas no response denotes a filtered port. An RST or reset identifies non-listening ports. A TCP Connect Scan is the main alternative TCP scan when the user is unable to run a SYN scan. Under TCP connect scan, the user issues a connect system call to establish a connection with the network. 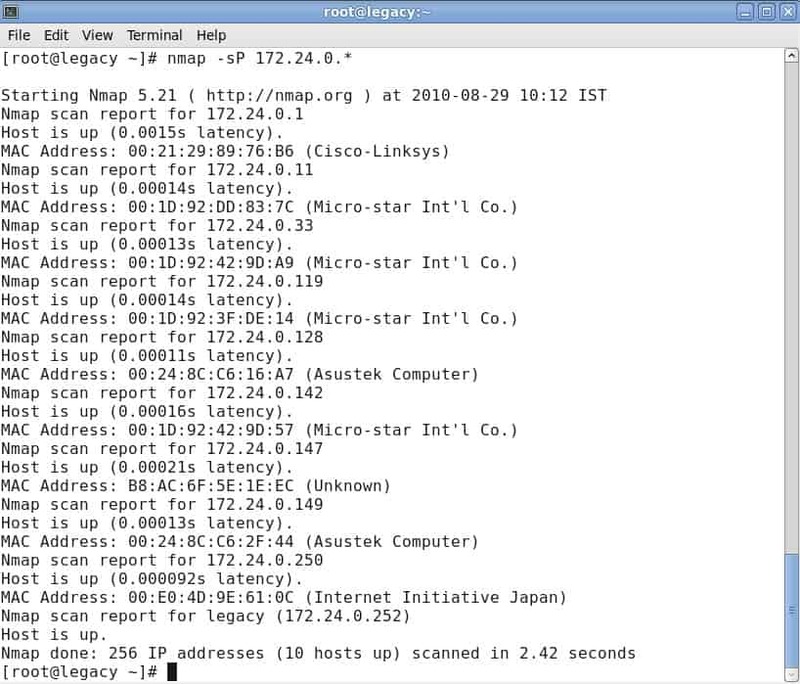 Instead of reading through packet responses, Nmap uses this call to pull information about each connection attempt. One of the biggest disadvantages of a TCP connect scan is that it takes longer to target open ports than a SYN scan. If you want to run port scanning on a UDP service, then UDP scans are your best course of action. UDP can be used to scan ports such as DNS, SNMP and DHCP on your network. These are particularly important because they are an area that attackers commonly exploit. When running a UDP scan, you can also run a SYN scan simultaneously. When you run a UDP scan, you’re sending a UDP packet to each targeted port. In most cases, you’re sending an empty packet (besides ports like 53 and 161). If you don’t receive a response after the packets are transmitted, then the port is classified as open. The SCTP INIT port scan covers SS7 and SIGTRAN services and offers a combination of both TCP and UDP protocols. Like the Syn scan, the SCTP INIT Scan is incredibly fast, able to scan thousands of ports every second. It is also a good choice if you’re looking to maintain privacy because it doesn’t complete the SCTP process. This scan works by sending an INIT chunk and waiting for a response from the target. A response with another INIT-ACK chunk identifies an open port, whereas an ABORT chunk indicates a non-listening port. The port will be marked as filter if no response is received after multiple retransmissions. A TCP NULL scan is one of the more crafty scanning techniques at your disposal. This works by exploiting a loophole in the TCP RFC that denotes open and closed ports. Essentially any packet that doesn’t contain SYN, RST or ACK bits will prompt a response with a returned RST if the port is closed and no response if the port is open. The biggest advantage of a TCP NULL scan is that you can navigate your way around router filters and firewalls. Even though these are a good choice for stealth, however, they can still be detected by intrusion detection systems (IDS). This returns a list of names relating to the IPs scanned, which can be incredibly useful for identifying what certain IP addresses are actually for (providing they have a related name!). Another one of Nmap’s useful functions is OS detection. To detect the operating system of a device, Nmap sends TCP and UDP packets to a port and analyzes its response. Nmap then runs a variety of tests from TCP ISN sampling to IP ID sampling and compares it to its internal database of 2,600 operating systems. If it finds a match or fingerprint, it provides a summary consisting of the provider’s name, operating system, and version. It is important to note that you require one open and one closed port in order to use the –O command. Level 1 – Same as level 0 but also provides detail on protocol details, flags and timing. Increasing the verbosity is great for finding ways to optimize your scans. You increase the amount of information that you have access to and provide yourself with more information to make targeted improvements to your network infrastructure. auth – scripts that work with or bypass authentication credentials on a target system (such as x11-access). dos – scripts which can cause denial of service. Can be used to test or attack services. The NSE can be quite complicated to get your head around at first, but after the initial learning curve, it becomes much easier to navigate. For example, entering the command -sC will allow you to use the common scripts native to the platform. If you want to run your own scripts, you can use the –script option instead. It is important to remember that any scripts you run could damage your system, so double check everything before deciding to run scripts. If you want to write your own commands and scripts, then the GUI is far from ideal and you’re better off sticking with Nmap and the command line interface. Paessler PRTG Network Monitor uses the Simple Network Management Protocol (SNMP) to locate all of the devices on your network. Once each piece of equipment has been discovered, it is logged in an inventory. The inventory forms the basis of the PRTG Network Map. You can reorganize the map manually if you like and you can also specify customized layouts. The maps aren’t limited to displaying the devices on one site. It can show all of the devices on a WAN and even plot all of the company’s sites on a real map of the world. Cloud services are also included in the network map. The network discovery function of PRTG runs continually. So, if you add, move, or remove a device, that change will automatically be shown in the map and the equipment inventory will also be updated. Each device on the map is labeled with its IP address. Alternatively, you can choose to have devices identified by their MAC addresses or their hostnames. Each device icon in the map is a link through to a detail window, which gives information on that piece of equipment. You can change the display of the network map to limit it to devices of a particular type, or just show one section of the network. 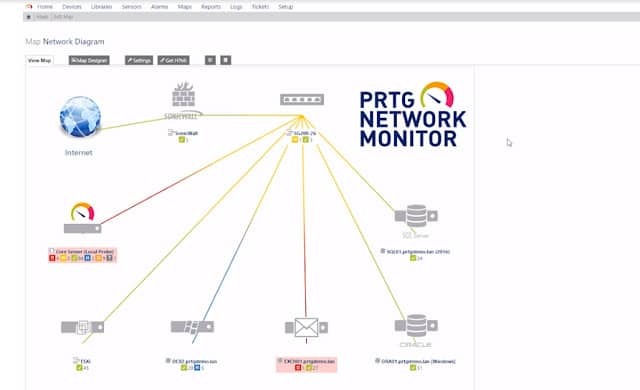 Paessler PRTG is a unified infrastructure monitoring system. It will also keep track of your servers and the applications running on them. There are special modules for monitoring websites and the monitor is able to cover virtualizations and wifi networks as well. Paessler PRTG is available as an online service with a local collector agent installed on your system. Alternatively, you can choose to install the software on the premises. The PRTG system runs on Windows computers, but it is able to communicate with devices running other operating systems. You can get a 30-day free trial of Paessler PRTG and you can use it for free for forever if you just want to monitor 100 sensors. WhatsUp Gold has an autodiscovery function, which covers wired, wireless, and virtual environments. The software for this infrastructure monitoring tool installs on Windows Server 2008 R2, 2012, 2012 R2, and 2016. The first run of the utility will kick off the network discovery routines. These log all of the Layer 2 and Layer 3 devices (switches and routers) on your network and record them in a register. The discovery process also generates a network map. The logging system keeps running constantly so any changes in the network will be reflected in the map. Cloud-based services that your company uses also get included on the map and you can cover multiple sites to plot your WAN on one map. The discovery process of WhatsUp Gold uses Ping and SNMP routines. The type of devices is also registered. This helps the monitor adjust processes accordingly for each type of equipment. A details popup attached to each icon in the map will show you details about that piece of equipment. The statuses of the devices in the network are monitored with SNMP. The map shows the health of each device with color: green for good, yellow for warning, and red for bad. So, you can see at a glance how all of those pieces of equipment are doing. Network link status is also highlighted with color: green for good, yellow for warning, and red for congested. You can get a Network Traffic Analysis add-on for WhatsUp Gold to get deeper intelligence on the performance of your network. This gives you greater troubleshooting capabilities through the insights on network performance both by link and end-to-end. A capacity planning tool helps you predict demand and expand resources where necessary. Although regular users of Nmap swear by it, the tool does have its limitations. Newcomers to network administration have learned to expect a GUI interface from their favorite tools and better graphical representations of network performance issues. The en-map adaptation of Nmap (see below) goes a long way towards addressing these needs. If you don’t want to use a command line utility, there are alternatives to Nmap that you could check out. SolarWinds, which is one of the world’s leading producers of network administration tools even offers a free port scanner. The analytical functions of Nmap are not so great and you may find yourself researching other tools to further explore your network’s statuses and performance. Ultimately, if you’re looking for a tool that allows you to target systems within your network and navigate around firewalls, then Nmap is the tool for you. Though it is not as glamorous as some of the other network analysis tools on the market, it remains a core part of most IT administrators’ toolkits. Ping scans and port scans are just the tip of the iceberg when talking about what this platform is capable of. If you’d like to learn more about Nmap, an extensive community website is full of guides and information to help you get the most out of your experience. You can access the Nmap documentation over at the tool’s site. Once you get past the learning curve, you’ll not only have more transparency over your network, but you will be able to safeguard your systems against future threats. Just start out by learning the basics and you’ll do just fine with NMap.